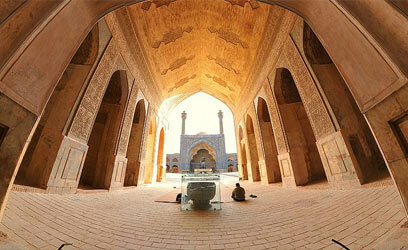 In this tour, we will be visiting Atigh mosque as a collection of Iranian Islamic architecture. 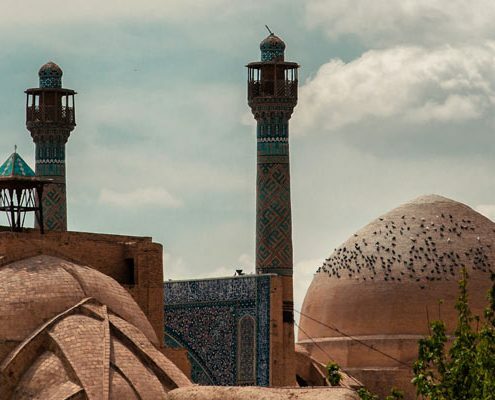 Atigh mosque is one of the most magnificent corners placed in the historical context of Isfahan. Of its beauties Nizam al-Mulk dome, Taj al-Mulk dome, the al-Mihrab Oliyatou (the altar of Master Hydar) and the Beit Al-Sabat shabestan, which is apparently known as Linen tent. 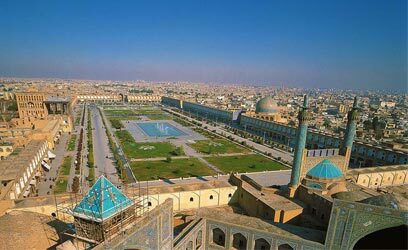 For visiting the next site we will walk through the Bazaar and then to the circumference of Naqsh-e Jahan Square. 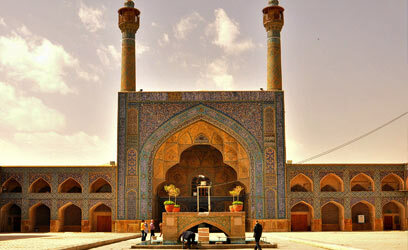 We will reach Naghshe-e Jahan Square in 20 minutes through the Qeysarie Bazaar or Grand Bazaar of Isfahan. 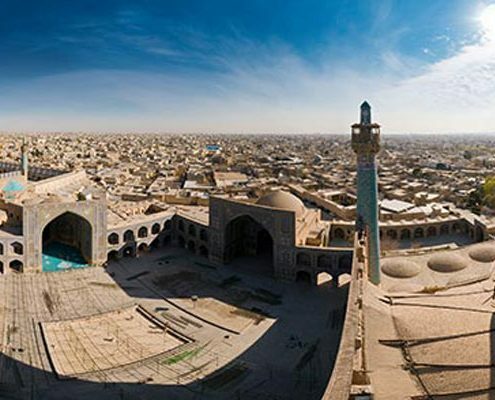 Naghshe-e Jahan Square known as an important historical site was an arena of government (Ali-Ghapo Palace), Economy (Qeysarie Bazaar), Religion (Sheikh Lotfollah Mosque) and People (Jameh Mosque). 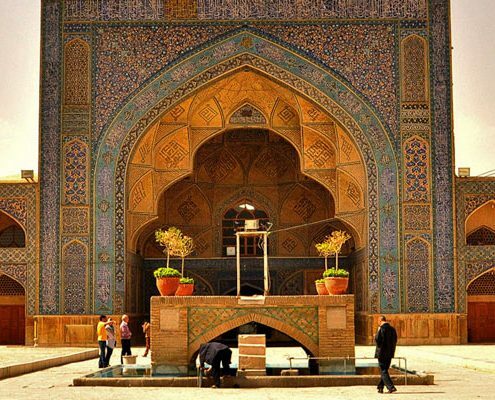 They were placed in four corners of The Square as the four main pillars of Safavid reign. 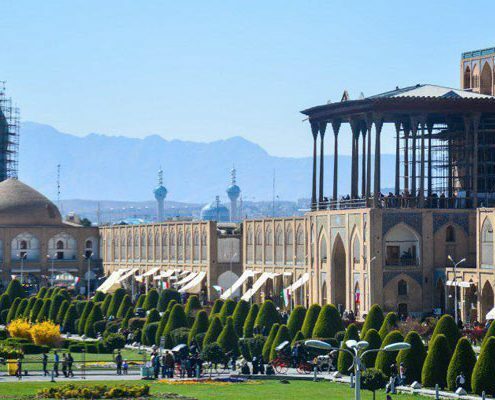 Walking up the stairs of Ali Qapo Palace (center of Safavid dynasty) and watching Naghsh-e Jahan Square from the palace balcony is a lifetime experience that will make any tourist fall in love with Isfahan. And you will never regret walking up 200 flights of stairs to reach the hall of music. It is certainly well worth visiting. There is also the experience of singing under the tallest double shell dome with 52 meters height that has a worldwide reputation. 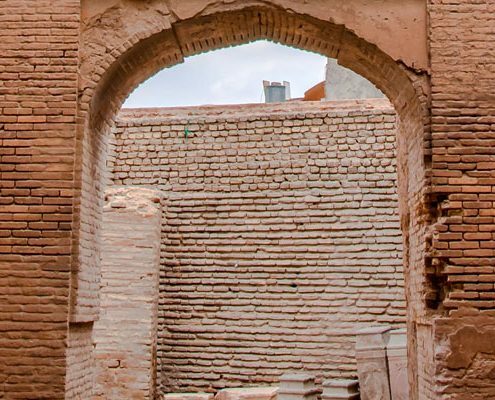 In our next site we will be visiting Chehel Sotun Palace. This is the only remaining palace from the Safavid-era, with artworks on the wall They depict specific historical scenes such as king’s entertainment ceremonies and receptions. 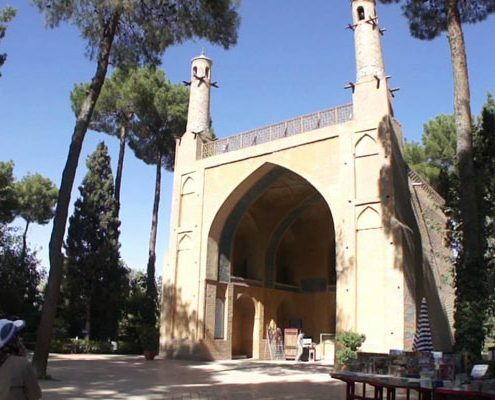 At the end we will make a visit to the most beautiful historical bridge in Isfahan named Khajou Bridge and we will be visiting the mausoleum of Professor Arthur pope which is located near the bridge. Khajou Bridge is one of the most beautiful and the only tiled bridge in Isfahan which will be visited by our professional tour guide. On the second day we will begin the tour in Monar Jonban (shaking minarats). The shaking minarets are responsible for the worldwide fame of Monar Jonban. Be careful!! Make sure to check the timing of it on our website so you would not miss it. 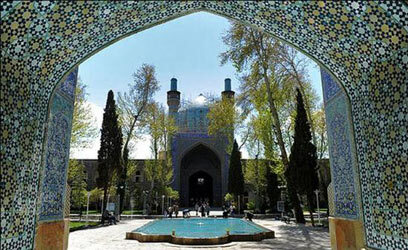 In this tour we will also visit the Armenian neighborhood of Isfahan. And we will touch on the life and interactions between Armenian Christians and Muslims. 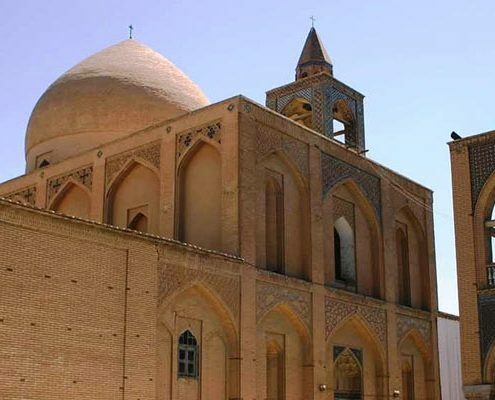 After visiting the music museum of Isfahan where we can see a collection of traditional authentic Iranian musical instruments with live performance we move on to our next site which will be the Vank church. 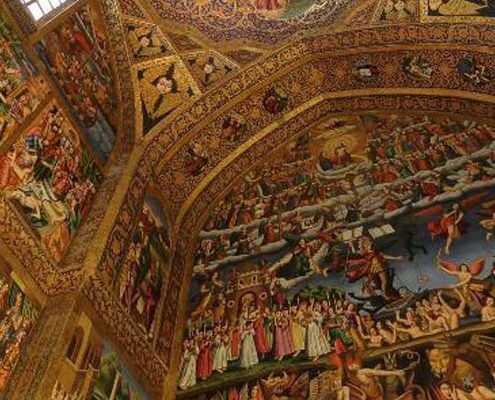 Iranian architecture mixed with Armenian architecture will be the first thing that catches your eye in Vank church. 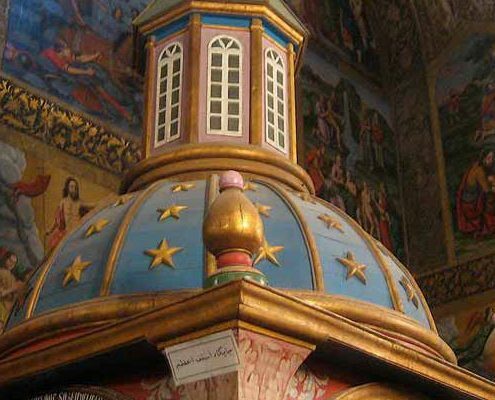 Iranian architecture in the Armenian Church… a dome with indigenous materials like clay, mud and brick. Before entering the church there is Khaje Khachator statue who was the first to bring printing press in Iran. First printed book in the Middle East was published with the help of this device. Glorious paintings inside the chapel, the April 24th memorial monumental sculpture, the smallest scripture in the world and written words on a piece of hair are the things that will surely draw your attention. After visiting the church and walking along Jolfa Street we reach a bridge named Sio-Se-Pol which is the longest historical bridge in Isfahan. 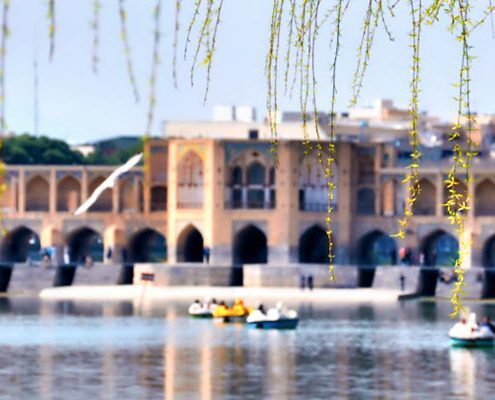 This bridge was instructed in the name of shah Abbas (the first) to connect the southern part of Chahar Bagh to its eastern part. Walking along Sio-Se-Pol Bridge is a lifetime experience you will never forget about.